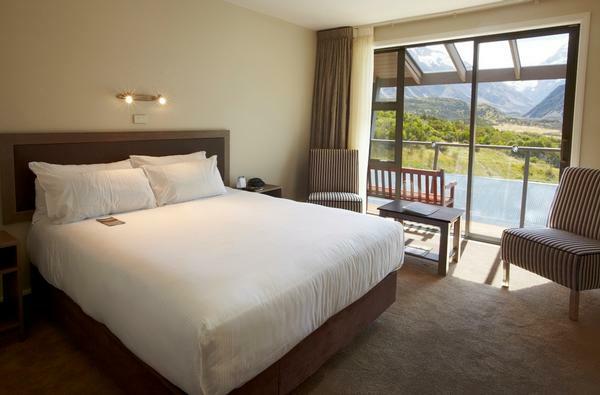 World-renowned tourist destination The Hermitage Hotel at Aoraki Mount Cook has just completed a $2.5million refurbishment programme of two wings of the property, both of which enjoy stunning views of the region. The iconic New Zealand property has recently completed the upgrades of a total of 62 rooms in its Mount Cook and Sefton/Tasman wings. In a rolling programme, all construction work was completed for the start of summer, and soft furnishings completed by the start of autumn. The 41 rooms in the Mount Cook Wing now all offer the latest in modern and stylish comfort with stunning views of Mount Cook from a balcony or patio. Ten of these rooms feature disabled access bathrooms. 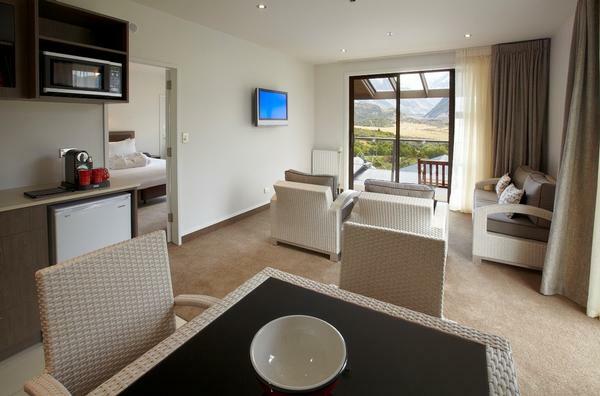 A further 21 rooms have been refurbished in the Sefton/Tasman Wing, where rooms overlook the Tasman Valley or Mt Sefton, and WiFi is now available throughout the hotel. An additional newly appointed one-bedroom suite is a haven of superior accommodation and space, with balconies looking out towards both Mount Cook and down the Tasman Valley. The suite features a separate lounge and kitchenette, and can be booked in conjunction with the interconnecting twin room to make a two-bedroom suite. The suite enjoys added touches such as an in-room coffee machine, free WiFi, and bathrobes. Further refurbishment work is planned this winter for the Wakefield Wing of the property in order to maintain the Hermitage’s high standards. General Manager Nigel Harper said the refurbishments gave the rooms a fresh new look which was much appreciated by guests. Mr Harper said the hotel was also “delighted” to finally be able to offer WiFi to guests, which had proved difficult to date due to the remote location. “Now that the area network has been upgraded it’s a service we’re more than happy to offer,” he said. A new autumn menu using the freshest local ingredients with a strong international influence has just been launched in the hotel’s multi-award-winning restaurant the Panorama Room, which lives up to its name with floor-to-ceiling views of Mount Cook. The hotel’s range of facilities makes it a popular venue for weddings, conferences and parties. Mr Harper said while the property continued to attract many domestic travelers as well as international visitors from around the globe, it had seen most recent growth in the Asian markets, particularly Malaysia, Korea, mainland China and Taiwan. “These are very active markets with visitors who just love to explore the remote wilderness areas on our doorstep and activities we have on offer in Mount Cook village and the surrounding region,” he said.